Kelsey McGonigle’s practice encompasses all aspects of mergers and acquisitions, drawing on her diverse experience in transactions ranging from asset purchases to equity transactions and debt financing. She frequently drafts transaction documents and performs due diligence on behalf of buyers and sellers. 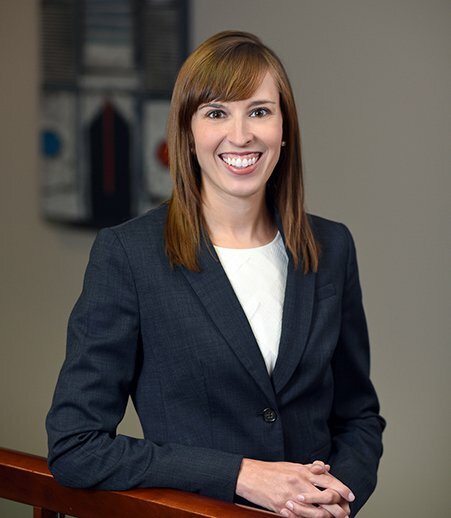 In addition to her M&A practice, Kelsey regularly advises closely held businesses on business succession planning, working with families to ensure a smooth transition of ownership to the next generation. She also drafts commercial contracts and advises on other general business matters including corporate governance matters and entity formation and dissolution. Represented a financial buyer in an asset acquisition of a window and door manufacturer. Represented the selling shareholder in the sale of a waterproofing business to employees. Prepared a Hart-Scott-Rodino (HSR) Act antitrust filing as part of the sale of a manufacturing company to a private equity investor, managing the collection and analysis of the client’s communications, notes and other documentation to comply with disclosure requirements. Worked as part of the team that implemented a rapid growth strategy for a leading market flowshare measurement company through the procurement of private equity investment and mezzanine debt, followed by multiple strategic acquisitions. Acted as local counsel to a Swedish company as part of an acquisition of a U.S. division of another international company. Developed business succession plan for a family-owned cabinet manufacturing company to transition the business to the next generation. Assisted in drafting a shareholders’ agreement for a closely held business, including specific provisions to achieve succession planning goals.